Well, first of all they are large and fearsome and have stingers that are more than 6 mm long. They use these to inject a relatively large amount of venom into the target – A kind of venom which attacks the nervous system and damages tissues. The venom is also known to destroy red blood cells, which can result in kidney failure and even death in some cases. 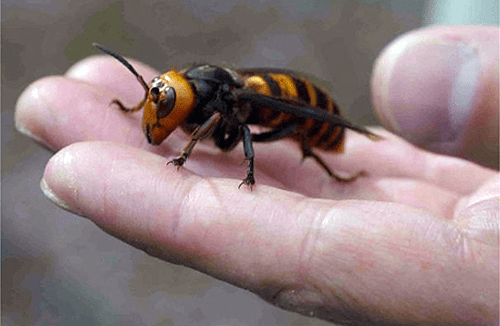 Thirty to forty people die in Japan every year after having been stung, which makes the Japanese giant hornet the second most lethal animal in Japan after humans (bears kill zero to five people and venomous snakes kill five to ten people each year). Also remember that it won’t come searching for you to sting you to death, until it senses threat. If you like to secretly surf the /r/aww page at work, well, science says, it no longer has to be a secret activity. An experiment conducted by researchers at Hiroshima University is a perfect scientific document to convince your boss to allow you a dose of cuteness at work. 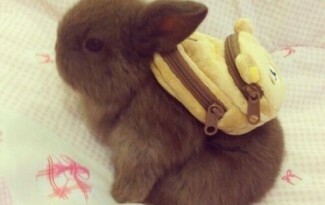 So here’s a picture of a bunny with a backpack. According to the study conducted by scientists at Hiroshima University, looking at cute pictures could make you work better. More specifically, cute pictures inspire fine tuned attention and careful behavior. 1. A few university students were asked to perform tasks which required a careful coordination of small muscular movements (eg: small finger movements), before and after viewing images of baby or adult animals; performance was measured. It was found that performance measured using the number of successful trials increased after viewing cute images. A performance increase of about 45% was measured. “Less cute pictures” had a positive effect too. But this was found to be much lesser than the performance increase measured after watching cute pictures – around 12% increase. 2. The second experiment was conducted on the same lines, except that the performance task was changed. This time subjects were asked to perform counting tasks. For example, they were given an array of numbers and were asked to count the number of times the number 3 appeared in it. Again, cute and less cute pictures resulted in a performance increase of 15% and 2% respectively. 3. In the third experiment a global-local letter task (more about it here) was given to the subjects. The results showed that the students performed tasks requiring focused attention more carefully after viewing cute images. The study propelled the lead researcher, Hiroshi Nittono, to find an proper reasoning for this effect; he implies that since humans are hard-wired to speak & deal slowly & carefully when they are around little babies, they are inclined to do the same with other tasks after looking at cute things.